Universal Music Group has reported its earnings for the third quarter as rumors swirl that the major label could be moving toward a sale. Revenue rose 13.5% on-year to €1.495 billion ($1.732 billion) for the period. The label’s recorded music revenue increased 10.2% thanks to a big jump of 35.8% in revenue from subscriptions and streaming, which reached a quarterly total of €662 million ($767 million). Download revenue fell 24.6% and physical revenue declined 16.3%. Parent company Vivendi said in the earnings update that it is in talks with about 15 banks, looking for assistance in finding a strategic partner for the major label. Liberty Media is one of the parties that may be interested if Universal Music Group does go on the auction block. During Liberty’s annual investor meeting, CEO Greg Maffei laid out the company’s attitude toward UMG and any other potential acquisition. Liberty Media was involved in a protracted back-and-forth with Pandora, which finally reached its conclusion in September when Sirius XM acquired the audio company. Liberty also made overtures to iHeartMedia as the broadcaster made its bankruptcy plans. 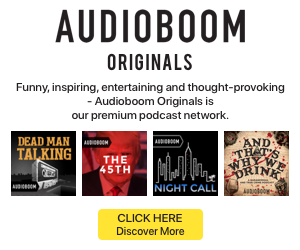 Steve Goldstein: Did SNL Just Set Podcasting Back?